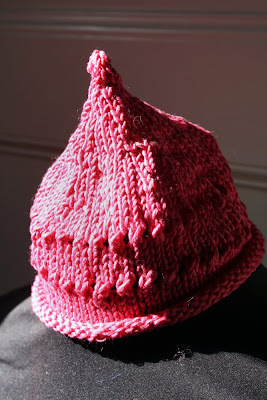 With a three-month-old baby on my hip and a two-and-a-half year old toddler running around, I don't have a lot of knitting time in my day. 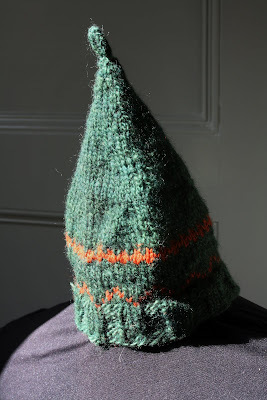 But short time and found yarn make a great combination for small projects like baby and child sized hats. Making these tiny gems only takes a couple of hours (broken up into many short knitting sessions!) and a very small amount of yarn which is usually what I have available since I knit from found and reclaimed yarn - usually ends of other projects, or cast-offs from friends. Thanks :) I love knitting tiny things.